A recollection of a childhood injury and subsequent hospital stay was the inspiration for Self Portrait in Hospital with Cookie, circa 1976. 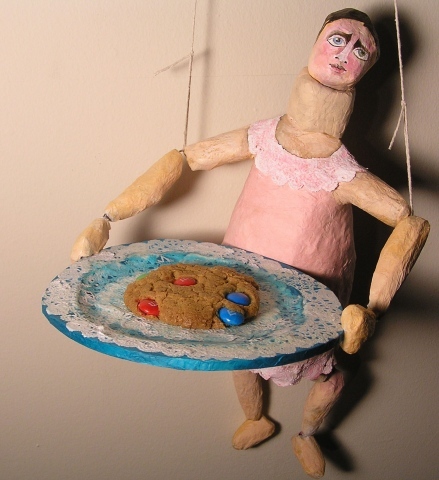 The resulting self-portrait shows a softly smiling, yet sad figure offering a platter with one large m&m cookie. The weight of the cookie causes the center of gravity to shift and metaphorically speaks about the pulling force of food for comfort.